Sooty wall indicates one problem that we need to address immediately. It becomes quite noticeably when we move pictures off the wall and we could immediately see telltale indications of soot. Upon close inspection, we could also find dark stains on drapes, carpets and various house furnishings. The ducting system could also be very dirty and it may help to spread soot to other rooms. Filters and air intakes could also be easily clogged by thick dark particles and dust. This necessitates an immediate clean up job. They are different consumer-grade cleaning solutions that can help us remove soot from many surfaces. However, we may need to replace carpet and repaint the wall. We should check the homeowner’s insurance policy to see whether soot damage is also covered. 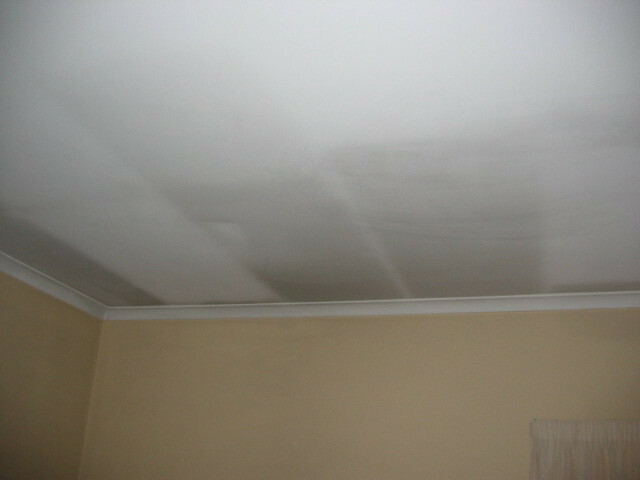 However the insurer would investigate our house to check the actual causes. Insurance policies could cover soot problems if it happens due to an abrupt occurrence, such as accidental flare up in the kitchen. However, the policy may not cover soot damage caused by long-term sources, such as extended usages of candles. The insurance company may also perform chemical analysis for the soot, to determine whether it’s caused by something that can be covered by the policy. In this case, we should make sure that the problem isn’t our fault. In order to prevent soot problem, we should make sure that we have a venting and ducting system that could accommodate appliances and equipments that we are using All fuel-burning appliances should be maintained, tuned and cleaned annually for maximum efficiency and performance. The venting system and chimneys should also be cleaned and inspected annually to eliminate any excessive buildup. When we use candles, they should be handled with caution. Carbon monoxide and smoke detectors could also help us to determine the source of soot in our house. The primary culprit for the presence of soot in our house is probably the wood stove or fireplace. Ash, smoke and soot are the by-products of wood burning process. We should check whether the venting system for the wood stove and fireplace is working properly. There could be blockage on top of the chimney, such as bird nest and other debris. Poorly maintained stove and fireplace also produce more smoke, particulates and fumes, more than our existing venting system can handle. Water heaters and furnaces also produce soot and fumes in our house. This is particularly true if we find thicker deposits of soot and dark stains around our furnace. This could happen if the furnace is allowed to not perform at its optimum efficiency. Water heater may share the same flue with our furnace and it could contribute in generating some amount of soot.